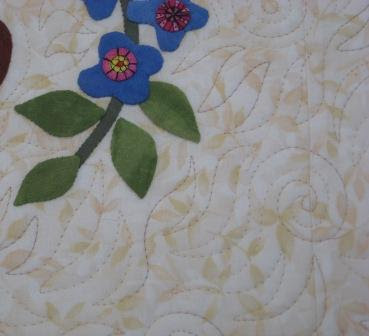 Here is a close up of the quilting I recently did. The quilt is my mom's Betty. I wanted to share this quilting with you. I love this pattern that I have done. I call it spirals and flames. I do this free hand, with out marking out any parts.